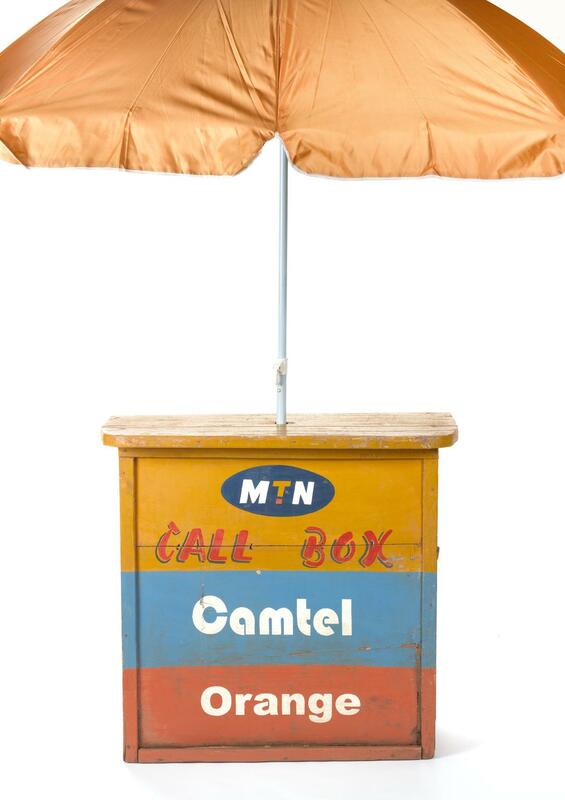 Small wooden mobile phone call box used in Bamenda, Cameroon in 2012, unknown maker, 2008-2012. 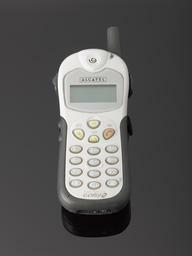 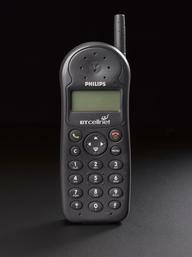 The arrival of mobile phones provided many young people, including many women, with the opportunity to run a call box business, enabling them to become self-sufficient. 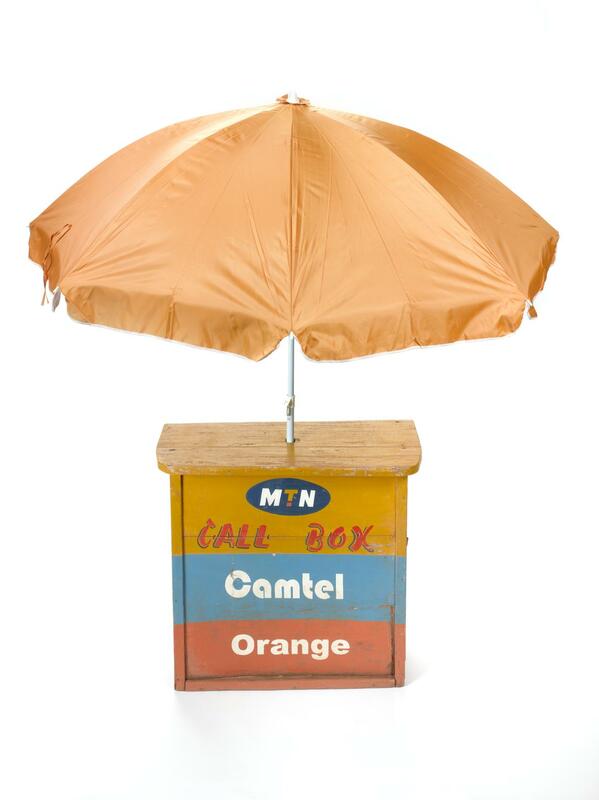 This particular box was operated near Ntarinkon market in Bamenda, a town in the Northwest region of Cameroon, until 2012. 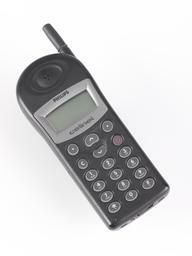 It was later sold to the Science Museum. 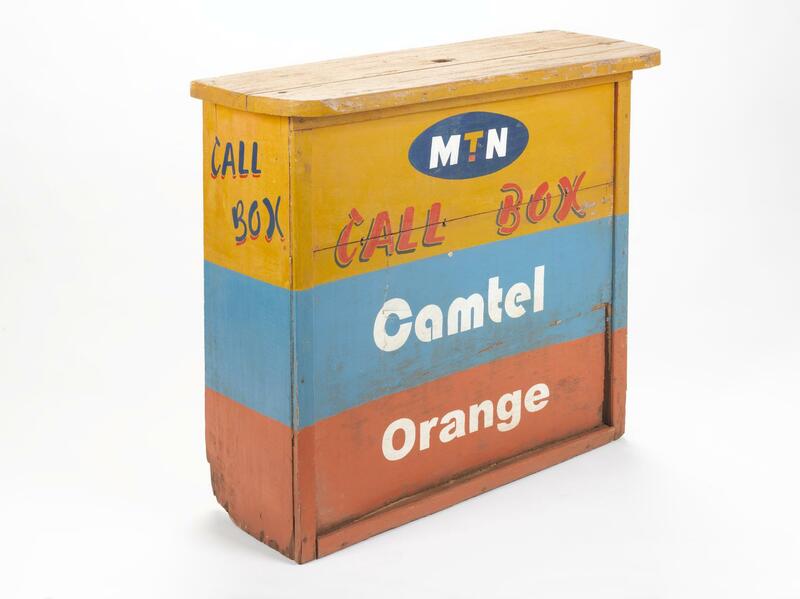 As with many call boxes, this example contributed to a rapidly transforming landscape which was being dramatically repainted in the colours of Orange, MTN and Camtel, the three mobile network operators in Cameroon at that time.